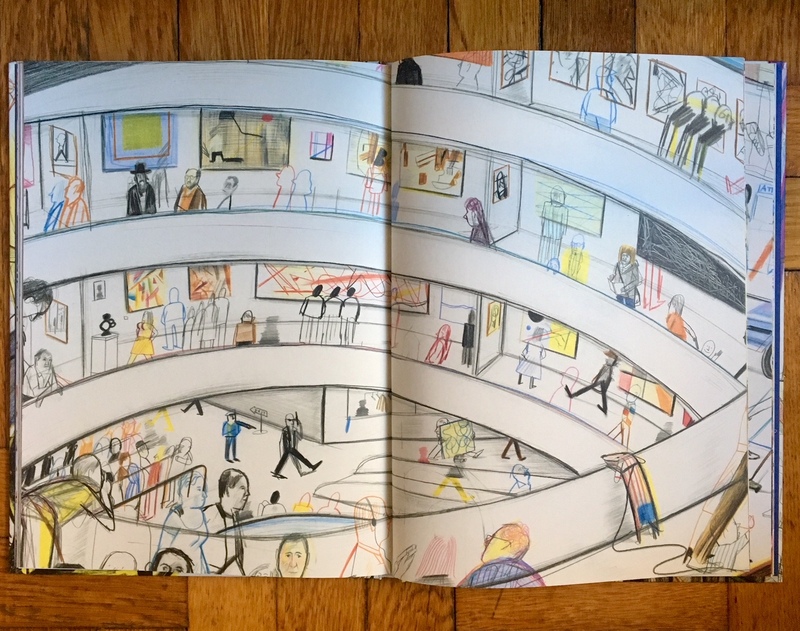 In Americanine: A Hot Dog in New York, author and illustrator Yann Kebbi gives us a dogs-eye view of New York City with colorful hand-drawn illustrations and observations of city life from the sidewalk up. 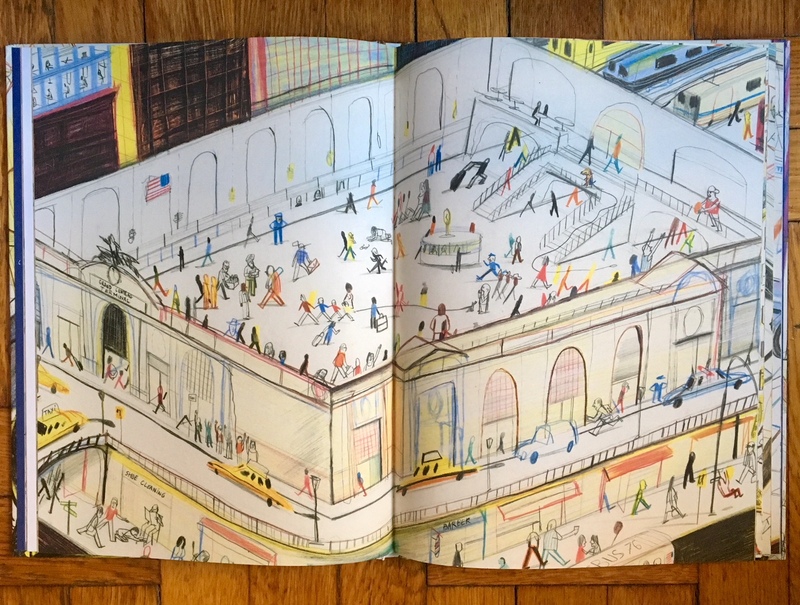 I love not only this little French doggie's hilarious observations (a look inside a gym at people running on a treadmill going nowhere is particularly funny) but how we can find something new on the page every time we open the book... there are just so many details in each drawing. 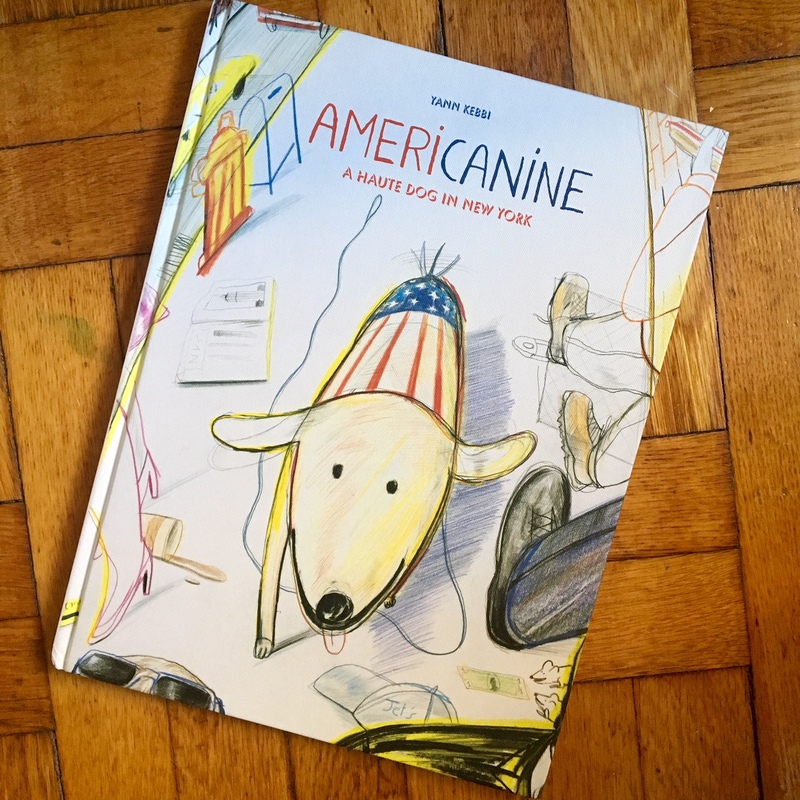 Happy to include Americanine: A Hot Dog in New York to the Big Apple Books collection! If you'd like to see more illustrations from the book, check out the Brain Pickings' review (or better yet, pick up a copy yourself)!